As if working for Baileys and Partners and assisting with the running of the family farm wasn’t keeping me busy enough, as part of farm diversification I have been rearing free range pigs and selling free range meat boxes to friends and family since last year. The original motive behind keeping pigs was to clear an area of poor quality land on the farm. Since starting this enterprise I have discovered the massive appetite for good quality and well cared for pork. I normally purchase three or four pigs which are between six and twelve weeks old, the young pigs are referred to as weaners. Keeping a litter of this size allows me to maintain the highest possible welfare standards and ensures that the pigs are manageable with other commitments which I have. The breed I normally purchase are the native Welsh Pink pigs or a cross between the Welsh and the British Lop which originated from the Cornwall/ Devon borders and are the rarest breed of pigs in the UK. You may think that buying ‘rare breed’ pigs with the intention of rearing for meat not breeding is contrary to the pigs being ‘rare breed’, however in fact, my enterprise supports the existence of the breed. By supporting and buying British Lop pork, you are helping to create demand for the product, which in turn will encourage more small-scale producers and hopefully in the future, remove the breed form the endangered species list. The taste of the pork speaks for itself, achieving the quality of the meat takes time. My customer base is loyal with most of my customers within five miles of the farm. Cuts of meat are prepared to the customer’s specification and packaged in quarter or half boxes. These pigs will also be featuring in the Autumn Seminar as lunch, with more details regarding the seminar to follow shortly. 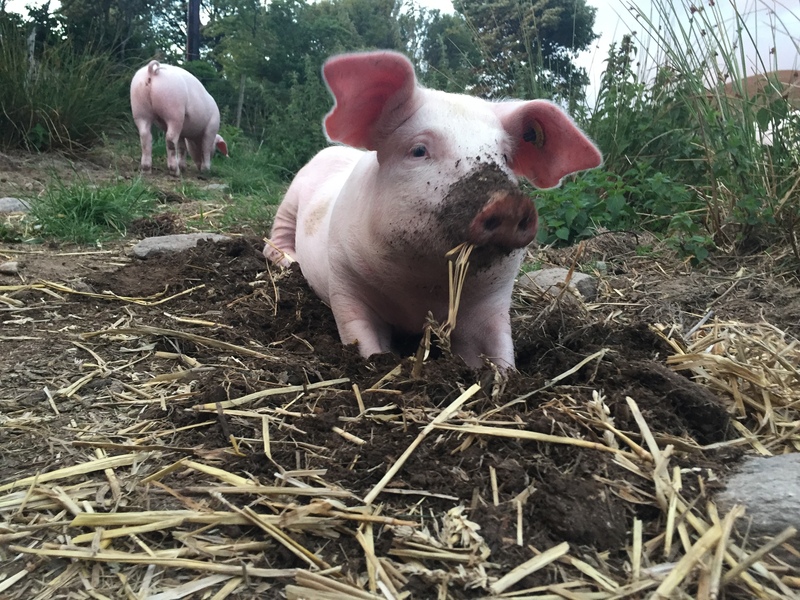 If you would like any more information on pig keeping from a complete novice then I would be very happy to help, or please get in touch if you are interested in making a purchase. My next litter of pigs are lying in the orchard basking in the midday sunshine as I write.